MAKE SURE YOU CHECK OUT OUR FACEBOOK PAGE FOR THE LATEST UPDATES! 2019 Memberships are now open. Go to the Membership section of this webpage for more info and the link to complete online! Please call Jessie Dreger on ​ 0447 742 323 with any enquiries. 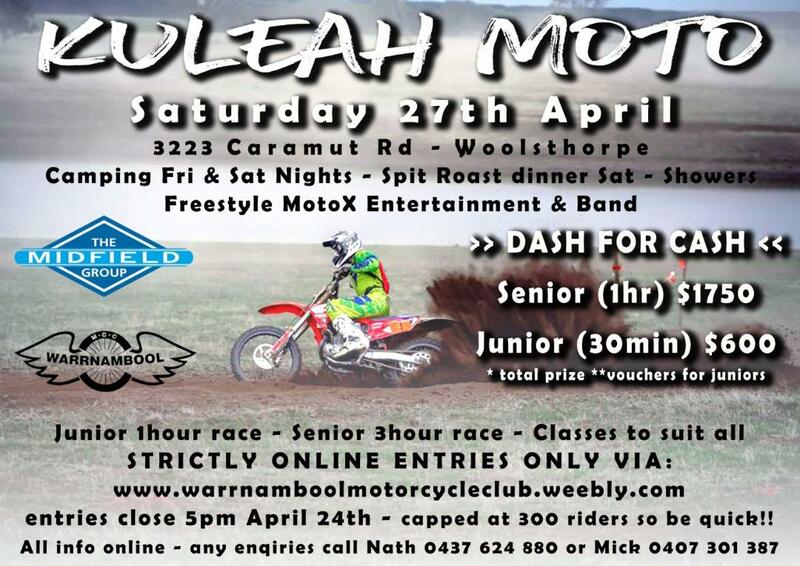 Kuleah Moto entries are now open. Click ​here for event details and schedule. Click here for online entries.